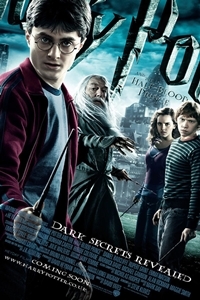 A year has passed since the climactic events of 2007's Harry Potter and the Order of the Phoenix, which culminated in the reemergence of the sinister Lord Voldemort. Darkness is spreading across the muggle and wizard worlds alike as the orthodontically-challenged Bellatrix Lestrange and the rest of her Death Eater crew roam freely between both realms, leaving devastation and chaos in their wake. Newly famous thanks to his heroic exploits, Harry Potter has barely a chance to cash in on his celebrity before his old pal Dumbledore arrives to whisk him away on an urgent wizarding matter to the town of Budleigh Babberton. It’s there the two encounter the eccentric Horace Slughorn, a former professor of potions at Hogwarts who now hides out in the homes of vacationing muggles. Convinced that Slughorn is withholding knowledge crucial to the defeat of Voldemort, Dumbledore enlists his most famous student to help convince the starstruck professor to return to his old position at Hogwarts. He then tasks Harry with finding out what Slughorn is hiding. As danger mounts outside the school, romance blossoms within it. Oblivious to the affections of Hermione, Ron Weasley has begun dating the cloying busybody Lavender Brown, while Harry has developed a crush of his own on Ron’s sister Ginny, who’s currently attached to Dean Thomas. It's quite the tangled teenage web; the element of magic, with its love potions and other mind-altering concoctions, only further complicates matters. Unamused by the romantic proceedings is Draco Malfoy, now clad entirely in black and simmering with hatred and envy for his rival Harry. Draco’s rage and resentment make him a perfect pawn for Voldemort, who recruits the angry young lad to aid in the Death Eaters’ attempts to infiltrate Hogwarts and exact revenge upon Dumbledore. Draco’s suspicious behavior doesn’t go unnoticed by Harry, who becomes convinced that his long-time nemesis is surreptitiously working in league with the Dark Lord. But when his concerns are dismissed by the Hogwarts hierarchy, Harry mounts his own investigation and makes a disturbing discovery: Draco has been receiving help from someone on the inside, a traitor whose efforts could pave the way for Voldemort’s ultimate triumph. Looking increasingly comfortable in his adult frame, Daniel Radcliffe is back for his sixth turn as the titular boy wizard in Harry Potter and the Half-Blood Prince. Other notable returning castmembers include Emma Watson (Hermione Granger), Rupert Grint (Ron Weasley), Bonnie Wright (Ginny Weasley), Evanna Lynch (Luna Lovegood), Tom Felton (Draco Malfoy), Alan Rickman (Severus Snape), Helena Bonham Carter (Bellatrix Lestrange), Robbie Coltrane (Rubeus Hagrid) and Michael Gambon (Albus Dumbledore). Making his Harry Potter franchise debut in the role of Horace Slughorn is veteran character actor Jim Broadbent. Harry Potter and the Order of the Phoenix director David Yates marks his second stint behind the camera with Prince, taking on what is arguably the most challenging episode of the franchise to date. But he proves more than up to the task, delivering all the visual grandeur and CGI fireworks we’ve come to expect from the Potter collection while simultaneously tackling the potentially thorny issue of adolescent hormonal urges with warmth, subtlety and a good dose of humor. Though it clocks in at over two-and-a-half hours, the film never feels dull. Yates establishes a brisk pace from the outset, skillfully transitioning between emotionally dense dialogue exchanges, action-packed set pieces and comic relief. For all the travails facing young Harry, he’s never weighed down by the gravity of his situation, and neither is the storyline, which thankfully avoids becoming excessively dark. Equal parts scary, funny, thrilling and touching, Harry Potter and the Half-Blood Prince is quite simply the best Potter flick yet. For all of its fevered set-up, the film’s ending is something of a letdown: a brief, unspectacular climax followed by a somber denouement. While it effectively sets the stage for the final episode of the franchise, to be depicted in the two-part Harry Potter and the Deathly Hallows, it will undoubtedly leave many a viewer feeling a bit dissatisfied. For sheer visual and technical filmmaking wizardry, the quidditch sequence is hard to beat. Silly muggles. Multiplex, of course.